We made a special effort this year to make the High Fives more visual and to invite more gig photographers to make a contribution. 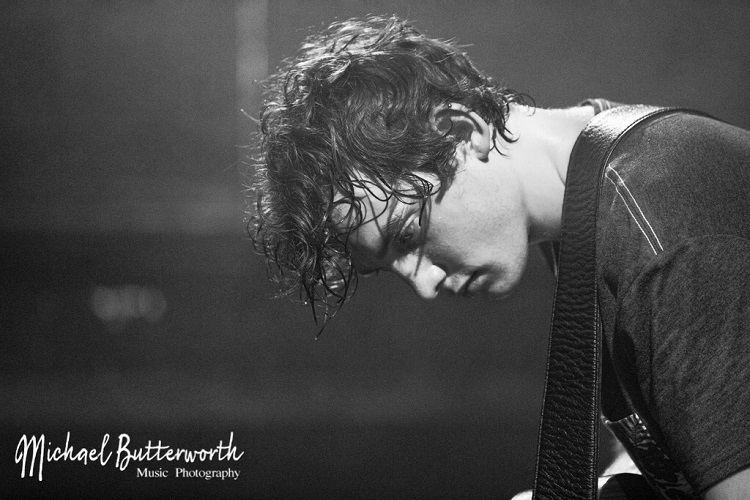 The first to respond was Michael Butterworth who Allan has met at many a gig this year. Michael’s a great live music photographer but, unlike most of those people who are in the pit at gigs or who use their elbows and shoulders to get to the front of the stage, he’s a really good bloke. 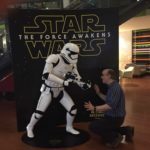 Here’s what he has to say about his favourite things this year. Wow, what a year. I’ve met a lot of new people this year and covered more gigs than ever. I was asked to photograph this gig by a friend. As I often do, I checked them out on the internet to get a feel for them and boy, was I a lucky snapper. 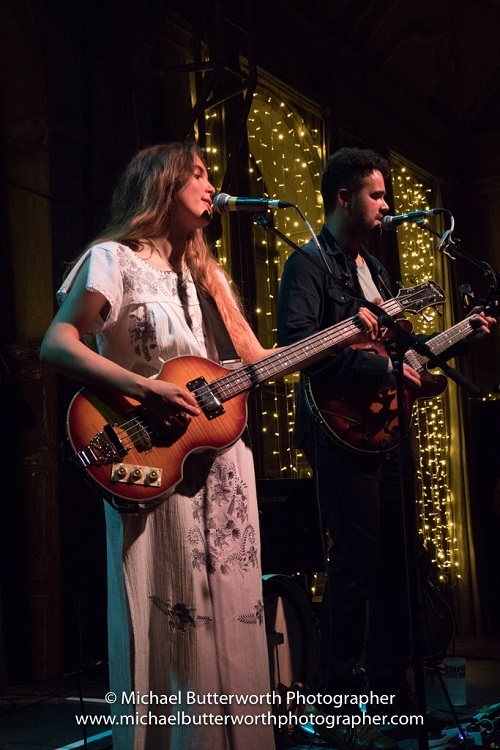 They are an up and coming London duo, who are great songwriters – With clear references in their catchy setup to the mid-60s sounds of Greenwich Village combined with their meatier blues tones, Ferris & Sylvester sit somewhere between Jack White and First Aid Kit (great band). Their clever combination of blues, folk and rock ‘n’ roll has created a distinctive genre of their own. As I usually follow where the music takes me, The Battersea Arts Centre was new to me. It’s a lovely old building (in the mists of fundraising for refurbishment) the gig was in the wood-panelled Great Hall, with the stage sticking out into the room, just in front of the three French windows. I also bumped into my friend Paul (Pablo) Ettinger, in the interval and he told me about his new business venture Talentbanq (see below). Aligned with the Mayor’s #SoundsLikeLondon event taking place throughout June and as part of Music Venue Trust’s #FightbackLondon campaign to support independent venues, TALENTBANQ announces The Soho Music Festival . A one-day celebration of independent music and musicians to be held at one of Soho’s most famous addresses. A festival that is designed to grow over the next three years to bring back music to basements, small rooms and rooftops in the bohemian district flanked by Oxford Street and Shaftesbury Avenue. TALENTBANQ programmed 12 hours of live music to take place in The Salon Noir, Salon Vert and The Library at L’Escargot on Greek Street. Heralded as one of the capital’s finest French restaurants, its upstairs rooms whisper the stories of times gone-by and provide exquisitely intimate spaces to discover new music. From 11am to 11pm L’Escargot hosted no less than 10 red-hot, breaking acts – each chosen for their ability to deliver exceptional live performance. Uniquely the day was divided into three sessions, where the audience moves from room to room. The artistic line up ranged from Classical Crossover Piano, through Tango, to UK County, Swing, Rock and possibly the wildest Celtic harp ever to grace a stage. All this plus of course an after-party because in Soho; when the music stops, the music starts! Among the many talented musicians, two stood out for me, Lots Holloway a multi-instrumentalist Lots Holloway writes and produces catchy indie-pop tunes. Her talent for song writing shines through in clever lyrics, strong melodies and memorable songs that manage to stay with you long after you first hear them. The second was a real firecracker – Lisa Canny. 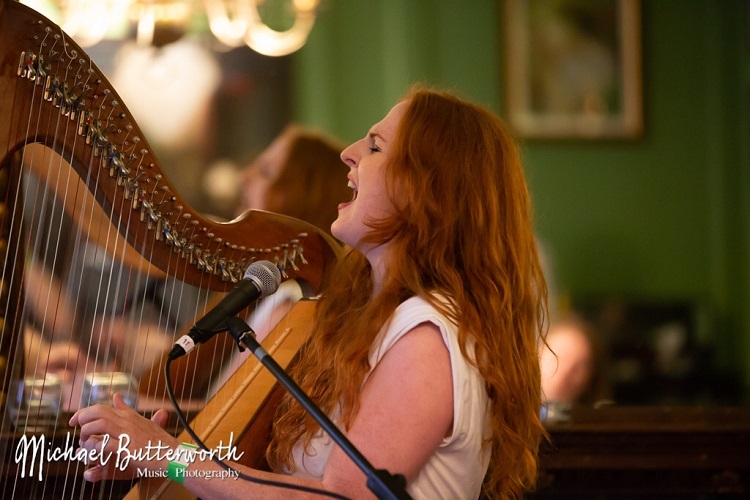 She’s a charming red headed Irish singer song writer whose main instrument is a harp, however when she gets going it isn’t a gentle classical music recital you get – she attacks it, on occasions, like a heavy rock lead and bass guitar. At one of London’s most iconic live music venues. The Jazz Café features live music with a restaurant around the balcony. 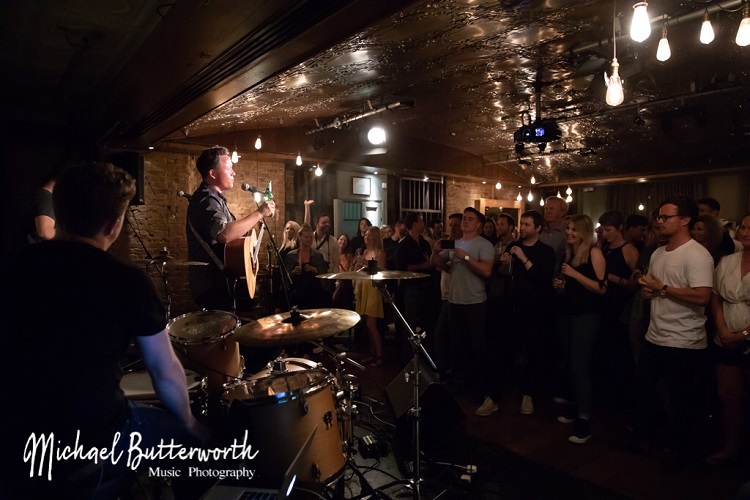 What a night of music, opening the evening was the charming Joe Slater, who delivered a smooth, saturating blend of rock, blues and soul that is beyond his years. 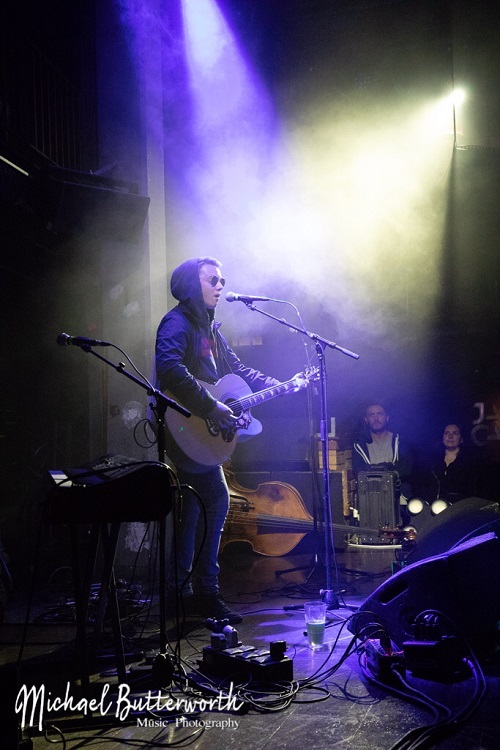 Drawing inspiration from The Beatles, The Boss and Oasis, Joe’s songwriting and unique vocals take listeners on a journey comprised of energetic sing-alongs and anthemic ballads, full of interior and reflective moments, that only the greats could inspire. Do I have to say more? Finally Dan Owen, what a tour de force. Dubbed as an old blues man, he has been singing publicly since he was 13 (nearly half his life). Dan performs with the raw power of that deep, rich, resonant voice, he has gone from performing for politicians at Westminster to partying in Nashville with Willie Nelson. This young man from Shropshire, with the big blues voice has a wealth of stories to share. He performed many of his own song and closed the evening with a rendition of ‘Little Red Rooster’ a classic blues song, perfectly demonstrating his power and energy. 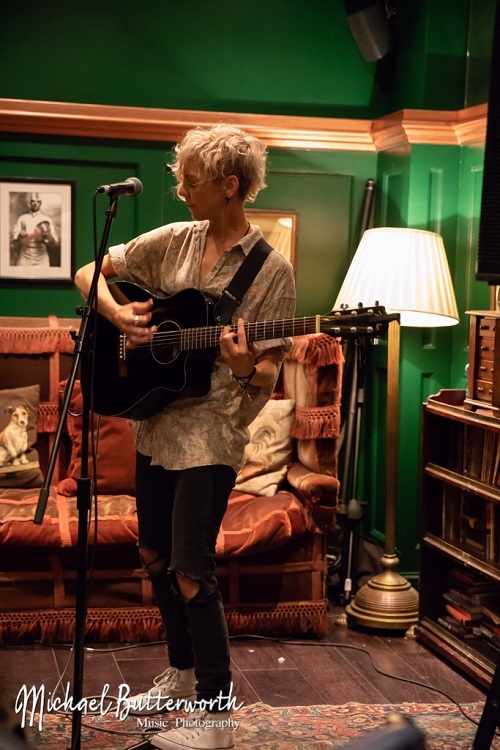 In lovely venue, just off Shaftsbury Avenue, this was the first musical journey at the Century Club with Paradise London Live and Success Express Music. A fabulous evening of new and emerging music culminating in a passionate and energetic performance by LAIKIPIA (named after an area of Kenya). Through the original worlds that their music explores, LAIKIPIA has developed a distinct sound, combining a unique blend of harmony driven storytelling, hypnotizing dance floor beats, and melody rich instrumentals. LAIKIPIA is creating new music true to themselves; strangely alien, yet comfortably familiar, their music welcomes all ears, completely disregarding the walls between genres. So you see, quite a unique and amazing duo. I’ve shot several things this at this venue, including the official launch of TALENTBANQ, single and album launches – however the one I’ve picked was this one. As a huge Heaven 17 fan, I was delighted and privileged to whiteness Afterhere’s debut live performance. This is a brand new project of HEAVEN 17 front man Glenn Gregory and Berenice Scott. While Glenn Gregory along with band mates Martyn Ware and Ian Craig Marsh scored a number of hits including ‘Temptation’, ‘Come Live With Me’, ‘Crushed By The Wheels Of Industry’ and ‘This Is Mine’ as Heaven 17, Berenice Scott joined their live set-up in 2011 while releasing her most recent solo album ‘Polarity’ in 2014. As well as Heaven 17, the pair have also been part of Holy Holy, the supergroup led by Spiders drummer Woody Woodmansey and producer Tony Visconti who perform the songs of David Bowie from the period between 1969 to 1973 at concerts around the world. As Afterhere, Berenice Scott and Glenn Gregory got their first commission for the soundtrack of the ITV drama ‘Liar’. With their debut album ‘Addict’ released this year, music from it featured in another ITV drama ‘Vanity Fair’ broadcast in September 2018. 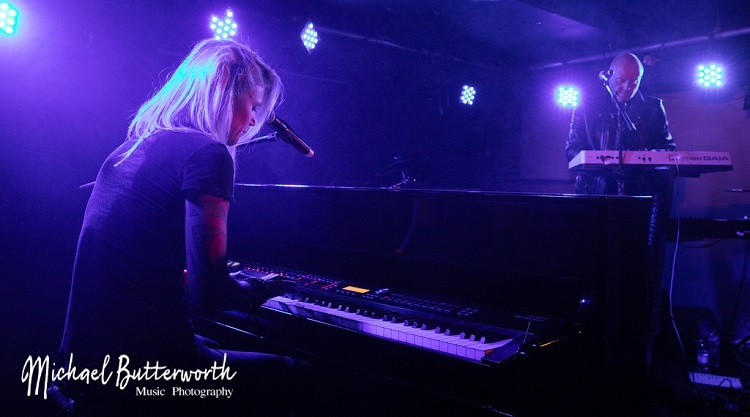 So, although the two of them have played together for the last seven years, this was their first live outing as a band and with Glenn playing keyboards live, as he said “I’m a bit nervous, as although I play the keyboards in the studio for Heaven 17, I usually just sing when we perform live”. The other key difference was Berenice sings most of the vocal parts. Two of the stand out songs for me were the title track and single form the album ‘Addict’ and the powerful ‘Blackout’. As always, the evening went too quickly, but there was an extra special surprise for the final song. Their version of ‘All Along the Watchtower’, a Bob Dylan classic, was introduced by James Strong the Director and Producer of ‘Vanity Fair’ – whose idea it was to adapt the song for the series. 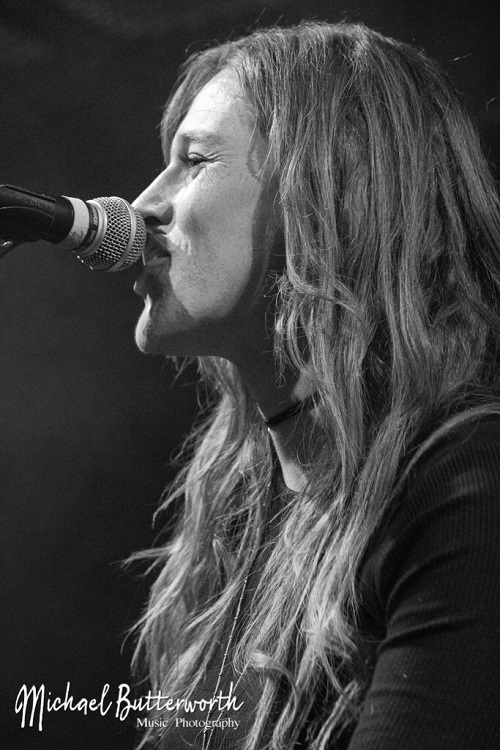 With such a great year, musically, I found it hard to pick out just five amazing gigs.